The plants are growing taller and taller – thank goodness they are staked! 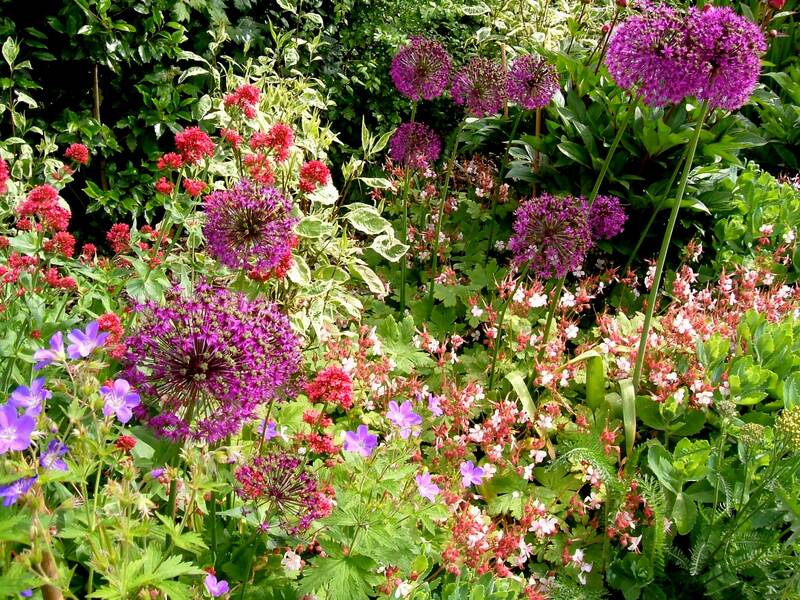 The alchemillas look more like shrubs than perennials, and the ‘Mayflower’ geraniums are as tall as the allium ‘Purple Sensation’. The paeony buds are getting fatter and the Roseraie de l’Haye is about to open – all very exciting! And the Libertia is looking sensational!